Cengiz Gunes completed his PhD at the Ideology and Discourse Analysis Program, the Department of Government, University of Essex, UK. He is the author of The Kurdish National Movement in Turkey: From Protest to Resistance (Routledge, 2012) and co-editor of The Kurdish Question in Turkey: New Perspectives on Violence, Representation, and Reconciliation (Routledge, 2014). His main research interests are in identity and nationalism, peace and conflict studies, and the international relations of the Middle East. 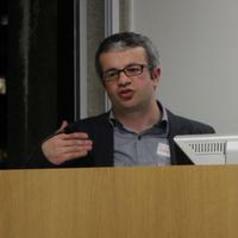 Currently he works as an Associate Lecturer at the Open University, UK.